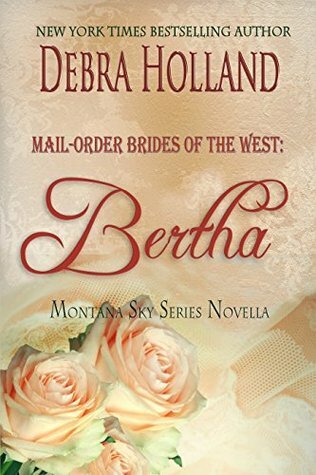 Mail-Order Brides of the West: Bertha is the delightfully sweet and lovely conclusion to Debra Holland’s Mail Order Brides series. I’ve enjoyed this series so much that I hate to see it come to an end. I’m not ready to say goodbye! Bertha’s story could be enjoyed as a stand-alone read, if that is your preference. However, just know that previous characters in the series appear through-out. This is the story of mail-order bride Bertha Bucholtz and Morgan’s Crossing’s handyman Howie. Sadly, Bertha was the only potential mail-order bride left without a husband when the agency closed. With no other choice, Bertha returns to her family home where she feels out-of-place and overwhelmed. Being super shy and overweight, she doesn’t attract the attention of suitors as do her thin, beautiful sisters and the house is swarming with all the courting. Bertha’s amazing skills in the kitchen were appreciated at the agency; but are mostly ignored in her family home. Desperate to be out on her own, she unsuccessfully searches for a cooking job. Resigned to her spinster state, Bertha never expected to receive a job offer from Prudence, who had teased and tormented her without mercy at the agency. Without any other prospects on the horizon and reminding herself that jobs aren’t like marriages, and she can leave if she’s not happy, Bertha decides to take a chance and accept Prudence’s offer. Little did she know what awaited her in the territory of Montana! Howie is Mr. Morgan’s stable caretaker at Morgan’s Crossing. Being an introvert, Howie doesn’t talk much. Women make him nervous and he never knows what to say – so he doesn’t. When Mrs. Morgan assigns him to making sure that the men’s new cook and housekeeper settles in and finds everything she needs, he is expecting a dried-up battle-axe. When Bertha literally falls into his arms, he is a gentleman extraordinaire. Howie immediately recognizes that Bertha is beautiful inside-and-out – something other men had missed much to their detriment. Howie remained silent out of habit and also because he didn’t know what a civilized bathroom was. Howie rose and smiled down at her. “I just eat what’s put before me without being picky. I know everything you make will make my tastebuds bless the day you set foot in Morgan’s Crossing” he drawled, waiting to see the adorable look of confusion that crossed her face when he flirted. Bertha lowered her gaze and looked up at him through her eyelashes. Lara Asmundson returns to narrate Bertha. As always, she does an awesome job. Her voice is clear and easy to understand. She differentiates between the characters to where I always know who is speaking just from her voice. She pauses, enunciates and exudes emotion precisely as needed. I hope to hear more of her performances in the future! Fans of the series will be thrilled that Bertha has finally received her own story! I know I was certainly happy for her! It was also a special treat to catch up with previous brides in Bertha’s story – Darcy, Lina, Trudy and Prudence all made appearances - as all of their stories seemed to coalesce herein. I loved hearing what they’ve been up to! I have to say that I was most impressed with Prudence. She has come a long way from the bullying snit that she originally was as she has re-made herself into a much better person – someone others want to be around. This was a wonderful and fitting finale to the series. 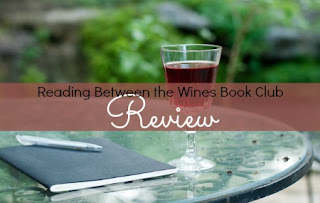 Bertha’s book is a funny, clean and highly satisfying novella with very little angst. It’s a delightful tale with genuinely likable characters. I enjoyed watching Bertha blossom with her new job. As her confidence grew, her inner strength and courage came to the forefront and I was so proud of her! My only complaint is that I would have preferred a longer story with an ending that didn’t feel so rushed. If it just had an epilogue with a spelled-out happy-ever-after, I’d have been elated. Don’t get me wrong, there is a happy ending… just not as much of one as I’d have liked. That said, I still loved the book. It’s guaranteed to leave you with a warm feeling at the end.